Off-road grip with on-road civility. It’s easy to underestimate exactly how much of an impact tires have on your vehicle’s driving dynamics. 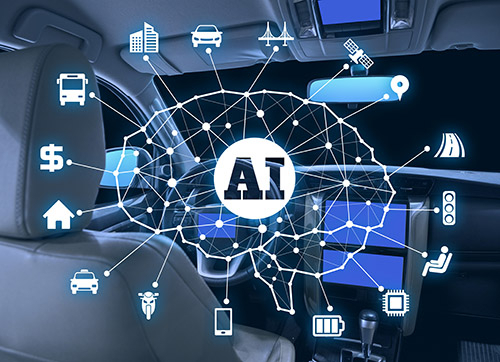 Ride quality, cabin noise, braking, acceleration and handling can all be vastly improved or absolutely ruined depending on your wheel and tire choice. Take my 1978 International Scout Terra. When I first purchased the truck, it was meant for weekend romps in the mountains – fording streams, tackling fire trails and generally spending more time off road than on in the grand Deep South tradition. To that end, I equipped the Scout with a matching set of second-hand Cooper Discoverer mud terrain tires. With its feet in the dirt, the Scout performed incredibly well. Once it hit pavement, the tune changed significantly. With massive, evenly spaced tread blocks, the Cooper tires were beyond noisy. What’s worse, when it rained the tires turned into ice skates, sending me pirouetting down the road in a massive, rusty blur on more than on occasion. Braking was a similar joke, even in the best of weather, and when things turned snowy the truck was all but useless on the road. After a move from the Virginian mountains to Knoxville, TN, my beloved off-roader quickly became just another tool of domestication. Instead of romping through the wilderness, the Scout was sentenced to hauling off the trash once a week and making multiple runs to the home improvement store to pick up material for a remodeling project. The on/off road ratio had inverted dramatically, and the Scout was still stuck with tires that made absolutely no sense on pavement. Something had to be done. Thanks to the explosion of small SUVs and Crossovers recently, there are a good number of quality, on-road tires available right now, but this is a truck. It also needs to be able to tackle any of the numerous off-road trails that run through the Smoky Mountains. 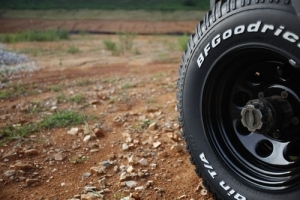 BFGoodrich’s All-Terrain T/A KO tires are enormously popular for just this reason, and our friends at BFGoodrich were kind enough to supply us with a set to evaluate. Despite their on-road capabilities, these rollers look the mean enough to be at home on even the meanest of trucks. That’s not so important on a junker like mine, but for guys and gals out there more into show than go, it plays a key role in tire selection. Those meaty sidewall blocks aren’t just jewelry, either. They’re designed to provide extra bite if you need to lower the tire’s pressure in slippery stuff or sand. What’s more, the sidewall is made of tough three-ply polyester for low-pressure use, so you don’t have to worry about goose eggs or tears. 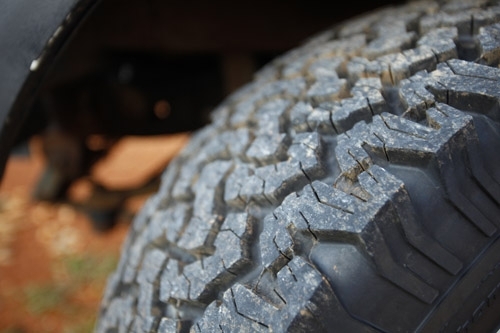 The All-Terrain T/A KO tires use a high-void tread design to accommodate variations in surface texture. Combined with a quasi-soft compound, you get loads of grip even in loose or wet conditions. BFG has also incorporated copious sipes to channel water away from the contact patch on ice or snow, meaning these suckers are as good in the winter as they are during the sunshine months. They aren’t recommended for extreme snow, but they should handle mild winters without a problem. Of course, the downside of those deep voids is a tendency to pick up and hold gravel and earth. There’s a reason the BFGoodrich All-Terrain T/A KOs are so popular. They work well. 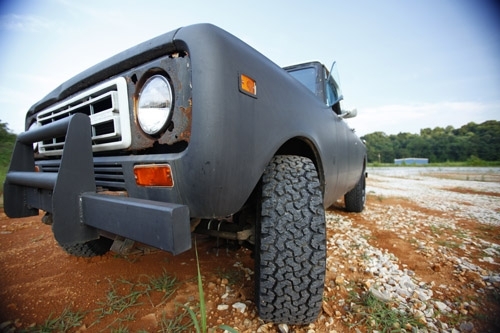 The Scout is no longer an irritation to drive thanks to the comparably quiet whir of the tires. In the wet, stopping is no longer a close your eyes and wince experience, with distances more than manageable. I don’t find myself spinning wildly on slow acceleration away from intersections any more, and on the few occasions I’ve been able to play around in the backyard, the tires offer sure-footed grip. That’s not to say the tire doesn’t have its drawbacks. For one, you get what you pay for. The All-Terrain T/A KOs retail for around $140-$200 for 31x10.50 15â€ examples depending on where you purchase them. That means you could wind up paying well above $1,000 for a set of truck tires by the time you pay for mounting, balancing and disposal of your old rubber. That’s a steep price tag, especially for the budget-minded out there. 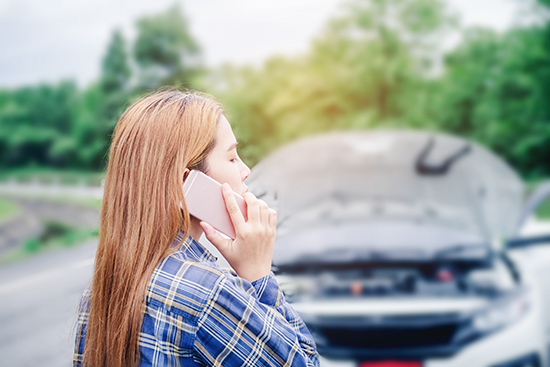 For those with newer trucks and SUVs, the tires’ tendency to pick up and hold onto rocks and debris for speeds up to 50 mph means you could end up doing a number on your vehicle’s paint. 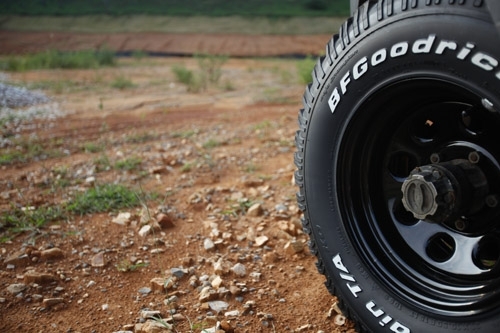 Still, for a best-of-both-worlds tire, it doesn’t get much better than the BFGoodrich All-Terrain T/A KO. If you’re looking for a tire that can handle daily driving on tarmac and still be able to tear it up in the dirt on the weekend, it’s the one to go with.